It's no secret that I love London. The first time I went was with my mom and my aunt in June of 2010, and the second time Danny and I went together in September 2014. Both times were different, but both involved seeing the highlights of the city, as well as a few day trips. After living in Madrid for a few months, I was feeling the pull of London. I mean, we only live two hours away (by plane), and if you find the right deal, it's only a 30 euro roundtrip flight away...it's kind of a dream come true. Once we solidified our plans for the Christmas holiday and decided it didn't make sense to include the U.K. in them, I realized that if there was any way we could make it to London at Christmastime, I would really, really like that. So, about a week before Thanksgiving I hopped on the Ryanair website to see if they had any deals, saw one I considered good enough, and we were 13 days away from our next trip to London. So far, I have a favorable impression of Ryanair. However, they typically fly into the most inconvenient airport in most cities. For flights arriving in London from Madrid, this is Stansted, which is 62km/39 miles northeast of central London (my reference point being Big Ben). We took a coach from the airport for about 50 minutes, then took the tube two stops, walked for about eight minutes, and finally reached our Airbnb. While we were on our bus, we realized that it seemed a bit dark. At first we figured it must be the dreary British weather, but no. The sun was setting and it was only a quarter to four! We dropped off our bags, let our host know we had arrived (she was away the weekend of our visit, unfortunately), and walked back to the tube station to head into a more central part of London. For me, I really feel like I'm in London when I see Big Ben. I know that London is so, so, so much more than it's most iconic clocktower, but for me, when I get to that corner and see the Houses of Parliament and the Thames and the Eye and all the double-decker buses and black taxis rushing across Westminster Bridge, I know I'm in London. I love it. From Big Ben, we walked across to the Southbank, where we checked out the charming Winter Market. If you're in London during the Christmas season, go here. Real fires, twinkly lights, legit food from around the world, all within view of the London Eye. It may be a pound or two more than you'll pay at the other markets along the Thames, but if that doesn't matter to you, the atmosphere is definitely worth it. We had burritos, and kept walking along the Thames, crossing at the Jubilee Bridge to get to Trafalgar Square. From Trafalgar we took a walk down the Mall to Buckingham Palace, along the edge of Green Park (not much to see when it's pitch black out! 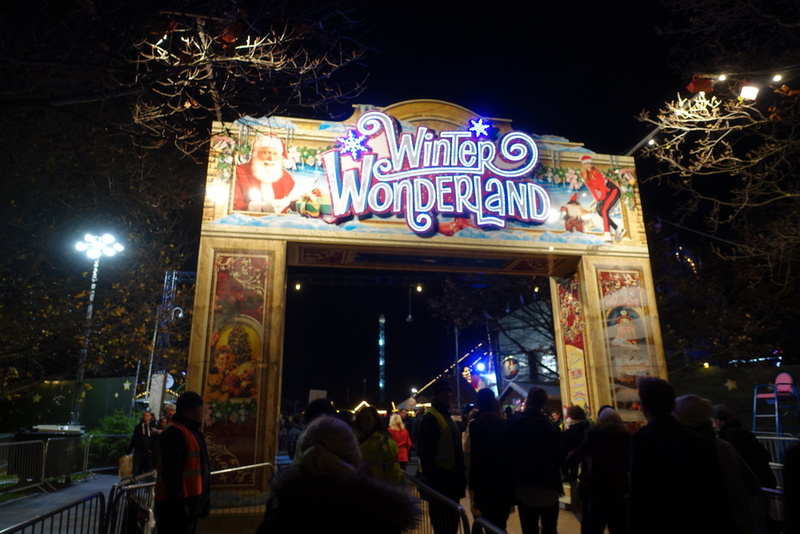 ), and into Hyde Park, where we went to Winter Wonderland. Winter Wonderland is essentially a massive carnival. A classy carnival, but a carnival. There's a Christmas tree maze, an ice rink, rides, a circus show, live music, food, and all sorts of festive fun. We had a great time wandering through and taking in all the sights, sounds, and smells, and restrained ourselves from buying any tasty looking food (only until the next day, though). From Winter Wonderland we made our way to Oxford Street, which is Europe's busiest shopping street. In fact, it usually sees about half a million daily visitors, and while we had been before, we had heard that Christmastime was a whole different story. We stopped into a few stores (Hamley's - it was our first time, and as you'll see in a few pictures, we had fun there!) to warm up and stopped on a few pretty side streets as well before finally calling it a night. We woke up our second morning ready for our first full day, excited to see London in the light. We started out at Tower Bridge, and walked along the Thames, stopping at a few places along the way. 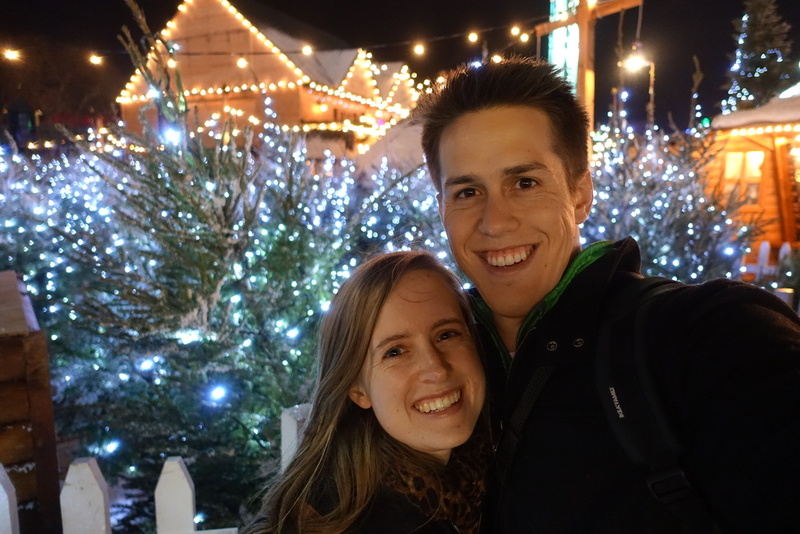 We came across more Christmas markets (cute, of course. When is America going to get on board with this tradition?! ), crossed the Millennium Bridge, gazed at St. Paul's (still a beaut), and toured the Museum of London. We left this off our itinerary last time we were in town because it's free and we had a seven day London Pass, which is very pricey, but worth it if you're going to do many/most of the sights included in the pass. But this time around, we were all about free (remember that whole not-working-very-much thing? ), so the Museum of London was right up our alley. The museum covers the history of London from prehistoric to modern times, and we found it really fascinating and engaging. Probably not a top-tier London museum (that belongs to the British Museum, the National Gallery, the Victoria & Albert, and the like) but if you've been here a couple of times, and you love London, then give it a couple of hours - I think you'll like it. From the Museum of London we crossed back to the Southbank (it's our fav) and kept walking along the Thames to Big Ben onward to Westminster Abbey and St. James Park. We decided to go back to Winter Wonderland, this time primarily for dinner - pizza for me and fish and chips for Danny. By this point, even though it wasn't very late, it was quite dark, so we decided to do more Christmas-y type things, because what's more magical than Christmas lights at night? Off to Covent Garden we went, to see their tree and decorations and festive tunes (for all you Christmas music haters...you don't know what you've got till it's gone!). Inside it was so sweet with all their mistletoe and disco ball and there was even a Shake Shack! The first and last time we had Shake Shack was at the JFK Airport when we were on our way to Madrid, so it was our last American meal, and because of that, I considered grabbing a bite there for about three seconds, but then I remembered how horribly expensive London is for us and said no no no, we've only been gone for 2.5 months, we're fine. We walked from Covent Garden to Fortnum & Mason which is a London department store that is gorgeous and way out of our league. Also, they have free WiFi and bathrooms. We then proceeded on to Somerset House which may have been my favorite thing we did in London. We didn't skate, but we did stand and watch for at least 30-45 minutes and it was so fun. We loved watching people skate fall, and of course, soaking in the incredible surroundings. Somerset House itself is over 200 years old, and throughout the year it hosts exhibits and events. At Christmastime it hosts Skate, which claims to be London's most beautiful ice rink, which honestly, is probably true. If you stand on the far side of the rink (the Thames side) you'll feel like it's just you and the skaters, not you and 100+ other spectators, which will be the case if you watch from the side with the Christmas tree. 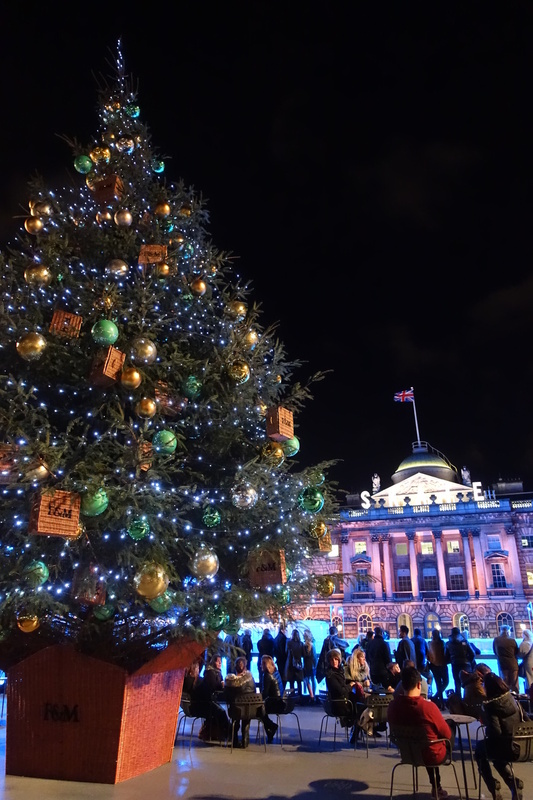 I highly recommend stopping by Somerset House if you're in London at Christmas whether you skate or not. We began Sunday in Greenwich, a district of London that we spent a bit of time in on our last trip and really enjoyed. We popped into the Old Royal Naval College, looked at a few exhibits at the National Maritime Museum, had lunch at the Greenwich Market, and wandered through a few charming streets before taking the DLR into central London. We finally made it to Hyde Park (in the daytime!) and got to walk around the lake before continuing into Kensington Gardens. William and Kate had put up a lovely Christmas tree and it was a shame we didn't get to see them while we were there. The parks are very close to the Natural History Museum, which we'd like to get around to visiting one day (it's free too! ), but this time we just enjoyed it's pretty ice rink and lights before enjoying a tasty treat at the Victoria & Albert. My one request while in London was a scone with cream, and we'd been on the hunt for a reasonably priced one since we'd arrived, and since I didn't require tea with mine (most that we saw came with tea, increasing the price by about two pounds), the offerings at the V&A fit the bill. It was worth the wait, and the surroundings were stunning. It really felt like we were eating in a museum (which, of course, we were). Reminded that scones and cream must indeed be my favorite food, we proceeded to have a look around the museum, this being our third try. We came two times on our previous trip, but always seemed to come about 30-45 minutes before closing. This time we hoped to do better, but alas, we only allowed ourselves about 30 minutes once again. The museum is another one of London's free gems, so we'll most certainly have to come back and give it the time and energy it deserves. Our walk back through town led us by Harrod's, unfortunately at 5:59 (they closed at 6pm), but that's okay, as we've visited before, and we still got to enjoy their Christmas windows. 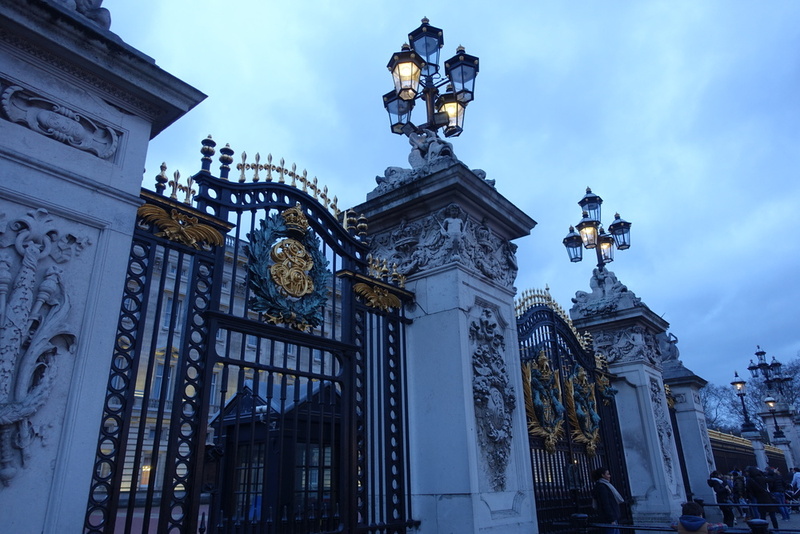 A final look at Big Ben, a final stop in a telephone booth, and we were done with London. We left early the next morning and hope to return in the spring - perhaps this time we'll get to see the sun! As I put this blog together, I realize what a good time we had. Christmastime in London is pretty magical. At the time, though, I think it was a little bit challenging. The last time we were in London, we had been saving for our trip for about six months, so although the trip wasn't extravagant by any means, we weren't staying in hostels and eating PB&Js either. 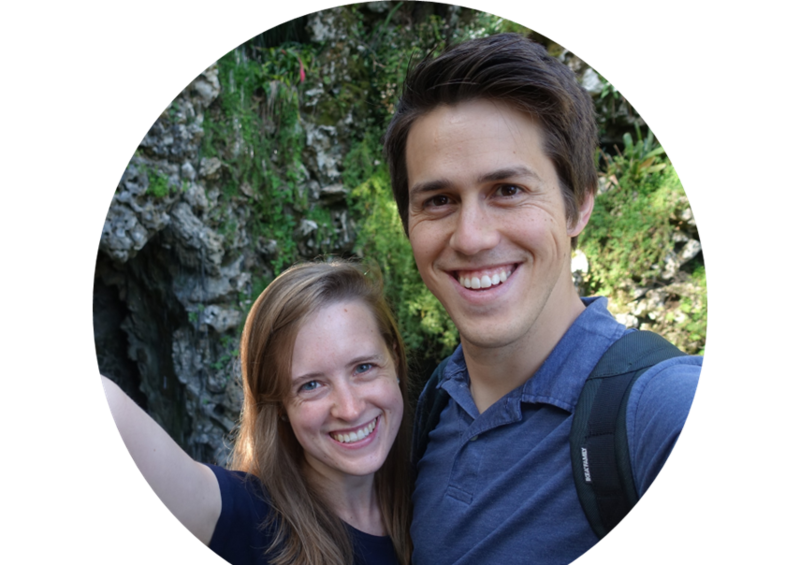 This time around, though, we had to be much more cognizant of finances and it definitely had an impact on our trip. The weather was definitely more typical - chilly, dreary, windy - classic British weather that we delightfully missed out on last time we were in town. We were also staying near Canary Wharf, and while our Airbnb was plenty nice, it the nearest tube stop (Canning Town) was in zone 3, which meant that getting into central London was pricey and not possible to do on foot. Not to keep playing the comparison game, but last time we stayed directly behind the London Eye, legitimately a three-minute walk from the London Eye/Big Ben/Westminster - you cannot beat that location. I would say that we had a much more normal experience this time around - most people have cloudy skies and don't stay in the heart of the city and have to think about money when they go to London. So it wasn't bad by any means, it was just normal. And after being in non-English speaking countries (primarily Spain, but Portugal for a few days, too) for 2.5 months, being in London was a little bit of a shock to the system. In a good way, of course, but a little surprising I think. We found ourselves saying little things in Spanish here and there because it just came more naturally, like when we ran into someone or were trying to buy tube tickets. It was so welcome to be surrounded by our native tongue, and it brought all sorts of benefits like being able to read menus, ask questions, and understand announcements on the tube, to name a few. Just little things that we sometimes miss being able to do with ease due to our low-level of Spanish, but look forward to being able to do someday. Oh! We also picked up some spices (chili powder, bay leaves) that we haven't been able to find anywhere in Madrid for under a pound and were quite excited about that! Overall, so good. What a luxury to be able to hop over to London for a weekend simply because we wanted to experience it at Christmas time. The lights, the trees, seeing all the sights again, it was really sweet.